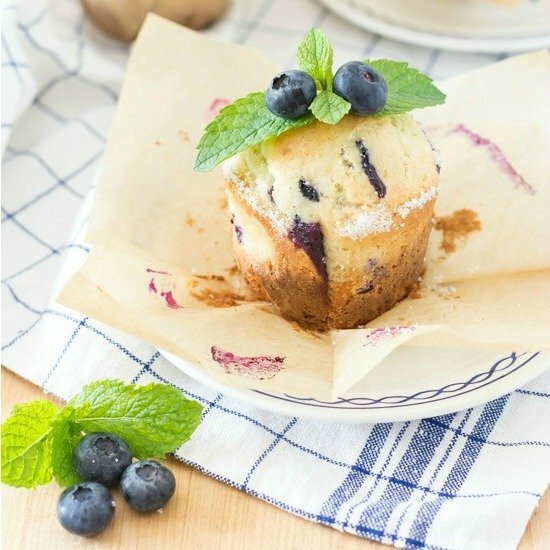 This is the best homemade blueberry muffins recipe! Uses basic pantry ingredients and can be made into a coffee cake or quick bread. Here in the midwest, it’s blueberry season. The berries are chunky, beautifully blue, and sweet. The berries used for this recipe were from Michigan and they were some of the best blueberries I’ve ever had…and there was not one bad berry in the bunch. 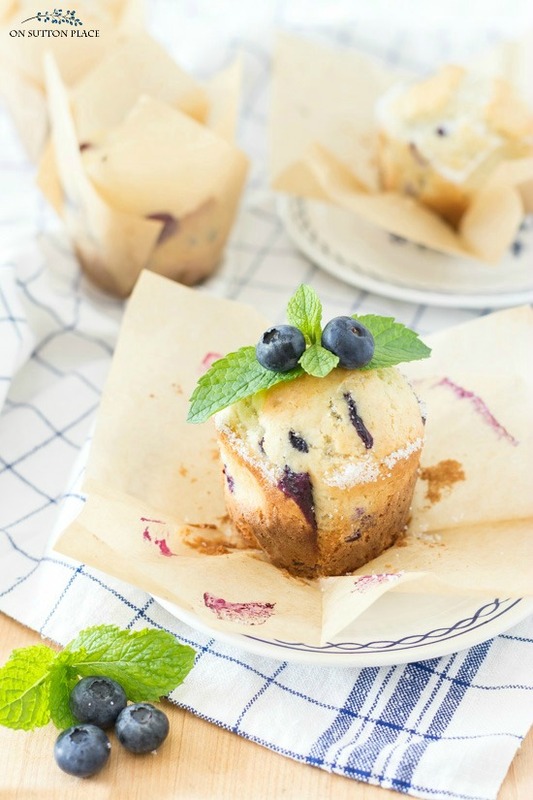 I know that blueberry muffin recipes are a dime a dozen…and this one is probably very similar to what you already make. This particular recipe makes slightly less batter than most, and doesn’t call for yogurt or buttermilk, which you might not always have. 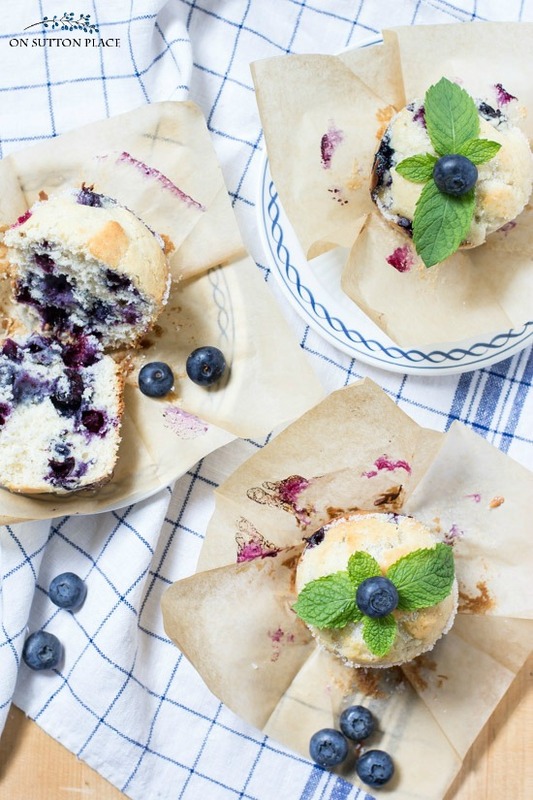 My favorite thing about this blueberry muffins recipe is that it’s not overly sweet. These muffins are perfect for any time of day, not just breakfast. Prepare a muffin pan with liners or non stick spray. Set aside. Put blueberries in a small bowl. Add 1 heaping tablespoon of the flour/sugar mixture and toss. Set aside. With your fingers, break the Crisco up into small pieces and drop into the flour/sugar mixture. Lightly whisk together the milk, egg, and vanilla. Add the milk/egg mixture to the flour/sugar/Crisco mixture. With a large spatula or spoon, stir to combine. Make sure to get all the Crisco incorporated into the dry mixture. Gently fold in blueberries, making sure to scrape the bowl well. Drop heaping 2 inch scoops of batter into your prepared muffin pan vessels. Generously sprinkle tops of muffins with sanding sugar or regular granulated sugar. Fill any empty vessels halfway with water. Bake for 20 to 25 minutes. Muffins should be very light golden on top. Let cool in pan for 5 minutes. Transfer muffins to a cooling rack. Serve warm or muffins will keep in an airtight container for 2 days. This recipe can be baked in an 8 x 8 pan. Temperature: 375 degrees F. Bake time: 45 - 50 minutes. 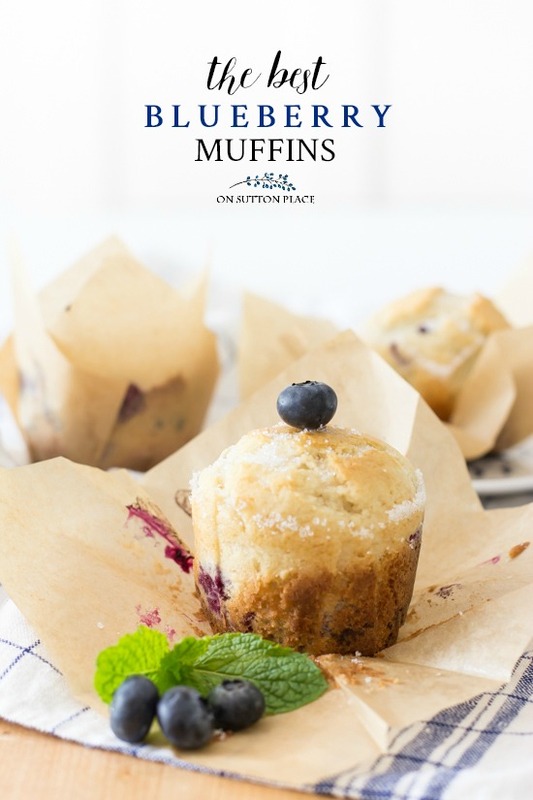 This homemade blueberry muffins recipe can be baked in an 8 x 8 pan or doubled and baked in a 9 x 13 pan. The amount of blueberries can be adjusted according to your taste. I don’t like it chuck full of berries so I used about 1 1/2 cups. If you are a blueberry lover, than pack them in! 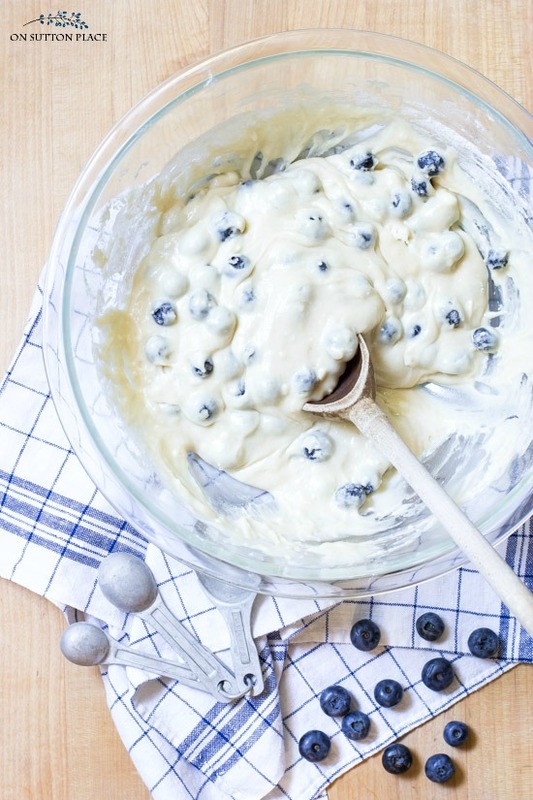 Don’t skip the step where the flour mixture is added to the blueberries. 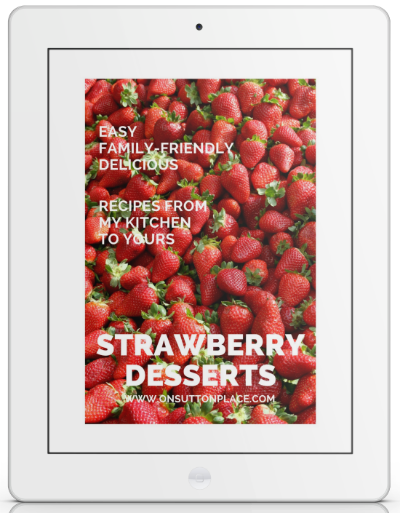 This helps keep the berries evenly distributed throughout the batter. You might think 400 degrees is too hot for muffins. It’s not. The higher temperature makes the muffins rise in the middle and gives them a beautiful, domed top. Just make sure to watch them closely at the end so they don’t get too brown. Any type of berry can be substituted for the blueberries. Frozen blueberries can be used. Make sure to drain as much excess moisture as possible. Hi Ann, Those muffins look delicious and beautiful my question is where do you find thise wrappers at? Hi Robin! The link to the wrappers is at the end of the post but here it is for your convenience: https://amzn.to/2V2lygu. Thank you! Hi, Ann! It’s your fan, Maureen from Long Island! My husband and I are going to make your muffins today with half blueberries and half raspberries! Thanks for the inspiration!!!! As always, your blog feels like home to me! Ann, The muffins are very nice! The fruit was the star ingredient. Thanks again! 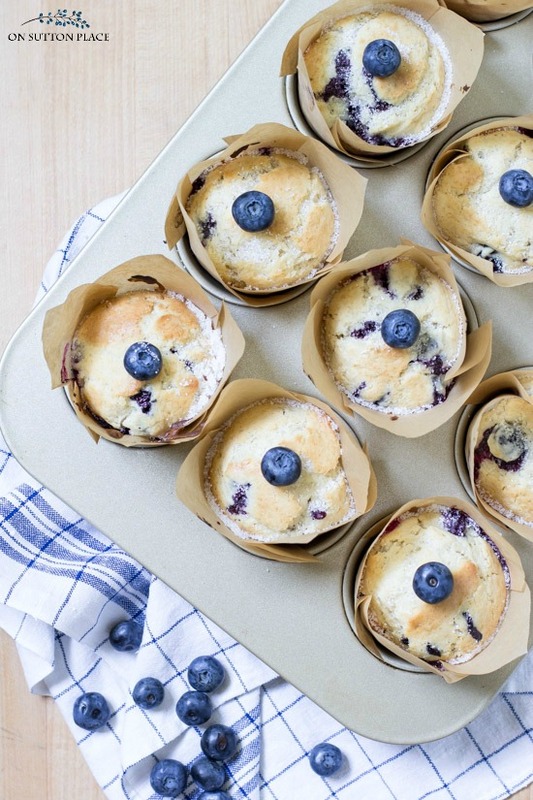 I just made these and they really are the best homemade blueberry muffins! They are tender and not overly sweet. I used 2 cups of berries but 1 1/2 would have been good too! Thanks Ann! I made the wonderful blueberry muffins today. I had purchased the tulip paper cups too. My aunt said they were the best muffins she has ever had. I had been to our new farm market and purchased Amish butter to serve with them. The butter is supposed to be amazing and my aunt agreed with that too. I did just order 2 scoops from Amazon the large for muffins and cupcakes, and the small when I make cookies. I imagine it will make my life easier to have a consistency with batter. They looked so pretty in the tulip cups, and it makes cleanup a breeze.I must thank you for all your recipes, they are always well received. I love my 88 year old aunt to be happy so I imagine I will be making them again. I will try other fruits too. Hey Ann …. you are so right!!! The blueberry muffins are the best!! I never doubt you when you say something is good … ’cause you have always proved yourself! Thank you so much and have a great week-end!! Mmmmn! Those look SO yummy! And I was just thinking about making some blueberry muffins with the Michigan blueberries that my daughter brought me this week. I’m going to use your recipe and bake up these babies tomorrow! Thanks for the recipe and for giving our Michigan blueberries some of the credit for their deliciousness. Ann, the muffins look yummy and your pictures are gorgeous! Thanks for mentioning that you used Michigan blueberries; us Michiganders are proud of our state products. And your new logo is beautiful. The muffins look yummy, love blueberries. Good Morning, I sure will give this a try, if I can beat the birds to my Blueberries. This is the season where my friends and I exchange garden produce and recipes. With all the squash and cucumbers coming on this week, are kitchens are humming. I will add some of these to their baskets when they come, thank you! 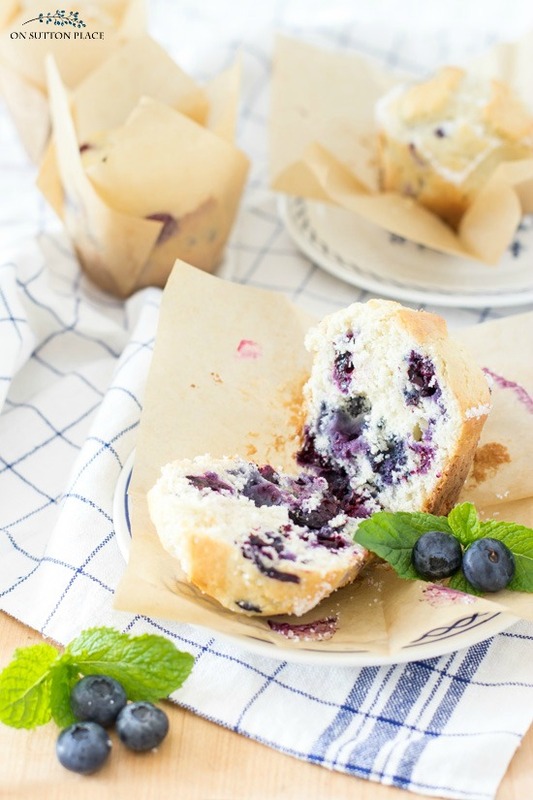 This blueberry muffin recipe sounds delicious. I’m going to try making them gluten free since that’s how I have to eat. Thanks so much for all of your wonderful recipes and home decorating ideas. 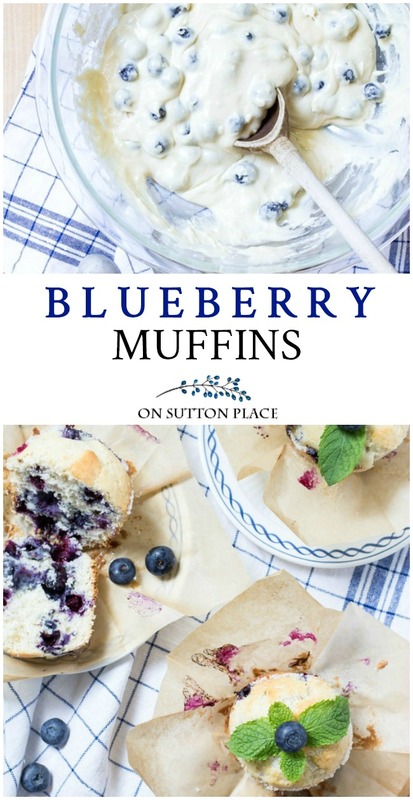 I have fresh blueberries in the fridge right now… I think I’ll try this recipe! We were just at OSU orientation with my youngest daughter …. I had never been in Ohio before and I was thinking of you!